The policy extends Central funds of up to Rs 2.50 lakh for each house to be built by private builders even on private land. The policy gives eight public private partnership options for developers to invest in affordable housing. Mumbai: The Centre on Thursday announced a new PPP policy to boost private investment in affordable housing that allows extending Central funds of up to Rs 2.50 lakh for each house to be built by private builders even on private land. The policy, which also aims to open up immense potential for private investments in affordable housing projects on government landparcels in urban areas, gives eight public private partnership (PPP) options for developers to invest in the segment, said the newly-appointed Union Urban Development and Housing Minister Hardeep Singh Puri here. "This policy seeks to assign risks among government, developers and financial institutions... besides leveraging underutilised and un-utilised private and public land parcels to meeting the Housing for All target by 2022," Puri told an industry summit organised by real estate lobby Nardeco here. 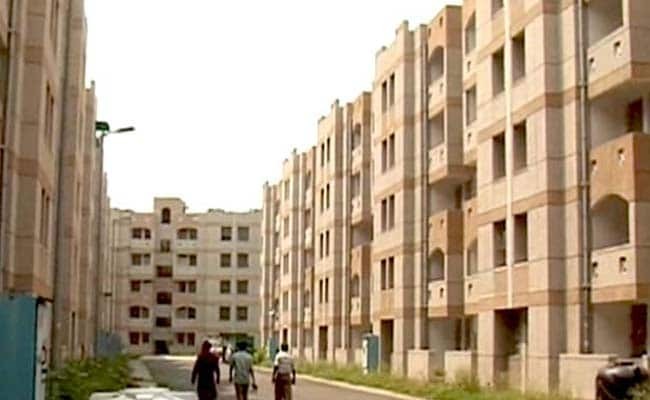 As per the new policy, the two PPP models for private investments in affordable housing on private landbanks include extending Central assistance of about Rs 2.50 lakh per unit as interest subsidy on bank loans as upfront payment under Credit Linked Subsidy Component of PM's Awas Yojana in urban areas. Under the second option, he said, Central assistance of Rs 1.50 lakh per each house built on private land would be provided, in case the beneficiaries do not take bank loans. "The eight PPP options, including six for promoting affordable housing with private investments using government land have been evolved after extensive consultations with the states, promoter bodies and other stakeholders," Puri said. Another option available with the private sector says that against government-mediated payments to builders and transferring houses to beneficiaries in the above four models, promoters will directly deal with buyers and recover costs. "Based on these PPP models, beneficiaries can avail of Central assistance of up to Rs 2.50 lakh per house as provided under different components of the scheme. Beneficiaries will be identified as per the norms scheme," he said. Puri further said government is reviewing FSI/FAR norms in 53 cities with a population of 1 million and above each and state capitals to enable better utilisation of scarce urban landparcels. "A view would soon be taken on allowing urban housing projects in peripheral villages and talks are going on in this regard with the Union rural development ministry. Online mechanism for time-bound approvals for building plans and construction permits has already been introduced in Mumbai and New Delhi and the same will happen soon in 53 more cities with population of above 1 million each or more," Puri said.